Step by Step breakdown of Spin Fundamentals with LiWen Ang. Transform your Spins. Transform your Dancing. Transform your Spins. Transform your Dancing. Spins. Spins. Spins. You love them. But do they love you back? How do they work? Why are you off balanced? How do you learn to become a good spinner? Is it a skill that you can actually develop? 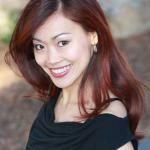 In this class, LiWen Ang answers all of those questions and MORE. With Introduction to Spins, you will learn the fundamentals of spins and how to use every part of your body with a spin. The class focuses on 3 types of spins: Spot Turns, Pencil Turns and 3 Step Chaine Turns. LiWen will break down all these spins part by part, so you can understand how they work. Don’t worry. This is definitely NOT a lecture series. You can’t learn dancing and spinning without actually doing! So, most of the course, you will be up on your feet, following along with LiWen’s specially designed exercises and drills. Through these 32 lessons, you will learn to create Balance, Strength and Control in your own body, and ultimately become a confident spinner. The course was excellent. The individual exercises, which break down the technique will be most useful to continue to practice and improve. I don't expect to become a great spinner just by going through the course once. But I was actually surprised at the improvement. It's so useful having the stages to practice, bit by bit, building up to the final result. I recommend this course for beginners or experienced dancers, leaders or followers. I think this is an excellent way of boosting your dancing, and I look forward to more of these courses. This class is designed for DANCERS OF ALL LEVELS who want to improve their spins. 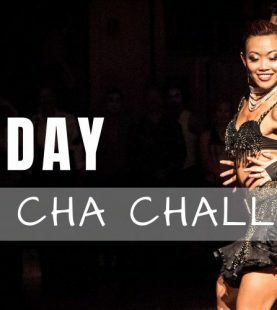 If you are a beginner, you can take this class and build a strong dance foundation from the get-go. This class will not teach you any steps, but it will help you learn how to use your legs, core and control your balance. If you are an intermediate/ advanced dancer, this class will give you new ways to practice and hone your spins. It also provides great conditioning exercises to improve your strength, speed and precision. 1. Do I have to be a Latin/ Ballroom dancer to take this class? Absolutely NOT! We encourage dancers of all backgrounds to use this class to enhance your spins and take these spins into your dance style! 2. Do I need a Partner? NO! This class is built for solo spins and individual practice. Although you can always learn with a partner/ with a group of your dance buddies, but it’s not necessary. 3. What happens if I have questions about the lessons? We encourage you to leave your questions and comments for each lesson. This way we can answer them directly and other students can also benefit from the answers.